Tonight is results night on American Idol and we’re one week away from the season 11 finale. 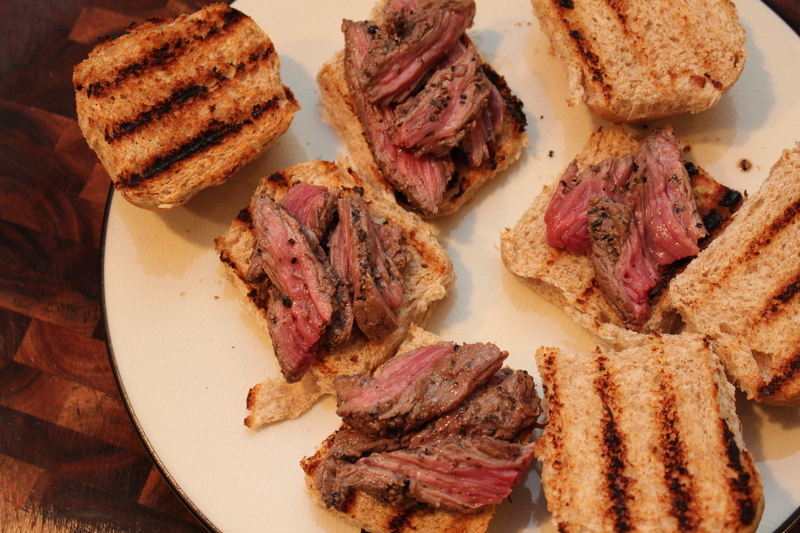 I’ll be doing things a little differently next week so make sure you check back on Tuesday for my finale grub! To keep the “homecoming” theme going I decided to go with an obvious choice in Texas cuisine, barbeque. These little suckers turned out delicious! 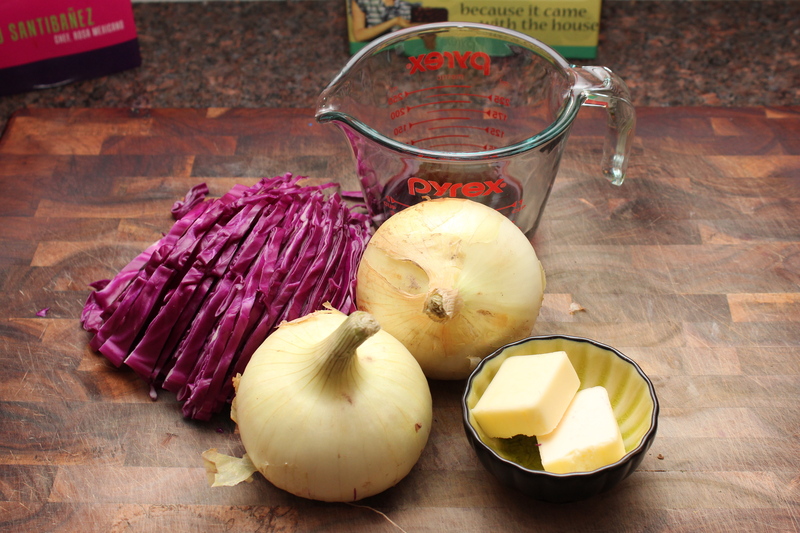 I ended up just sitting over the dutch oven eating the cabbage with a fork…thank you butter, you complete me! 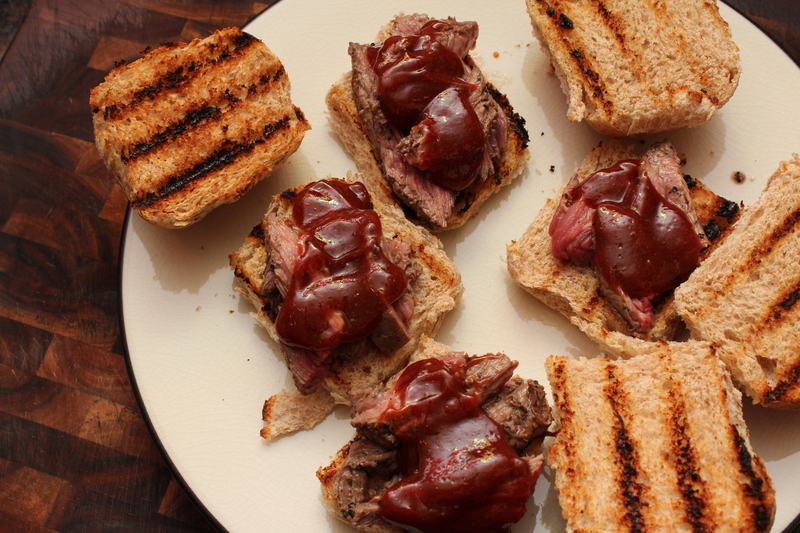 The barbeque sauce is an ode to my grandfathers famous recipe. It didn’t turn out exactly like his because well, he would probably have to kill me if he gave it to me, but this was equally tasty. 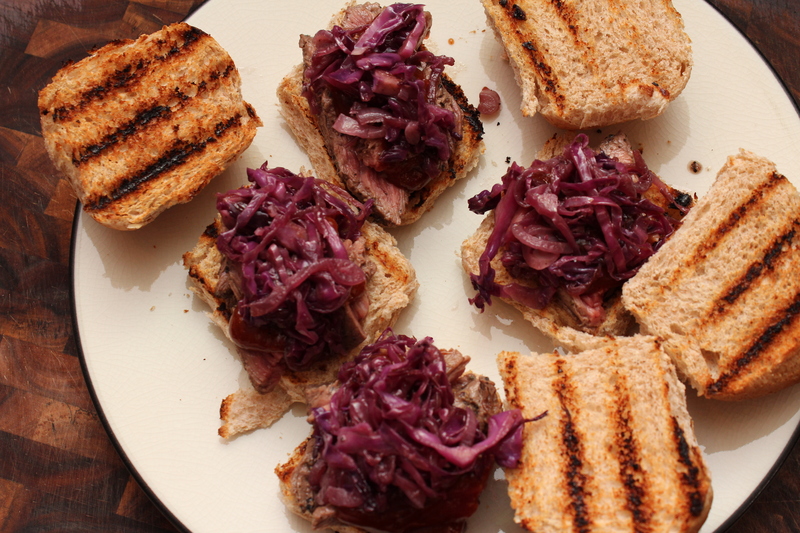 It a little less sweet then traditional BBQ sauce but it pairs beautifully with the Chianti soaked cabbage. 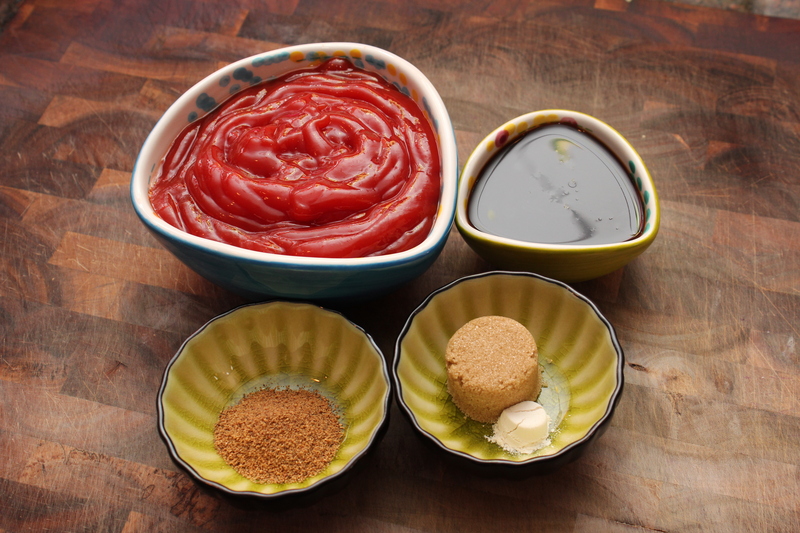 Okay I’m hungry, make it, you will be happy! 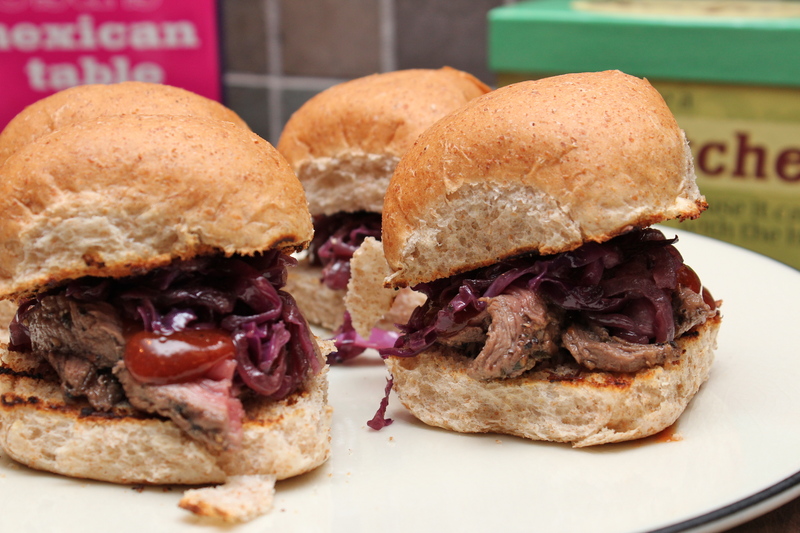 Check out tonight’s recipe feature on Reality Rocks HERE! 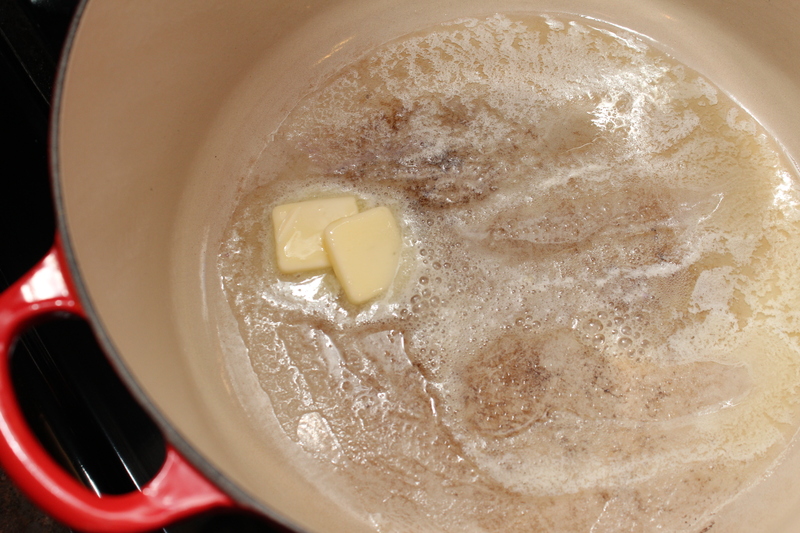 Heat the butter in a large dutch oven over medium high heat. 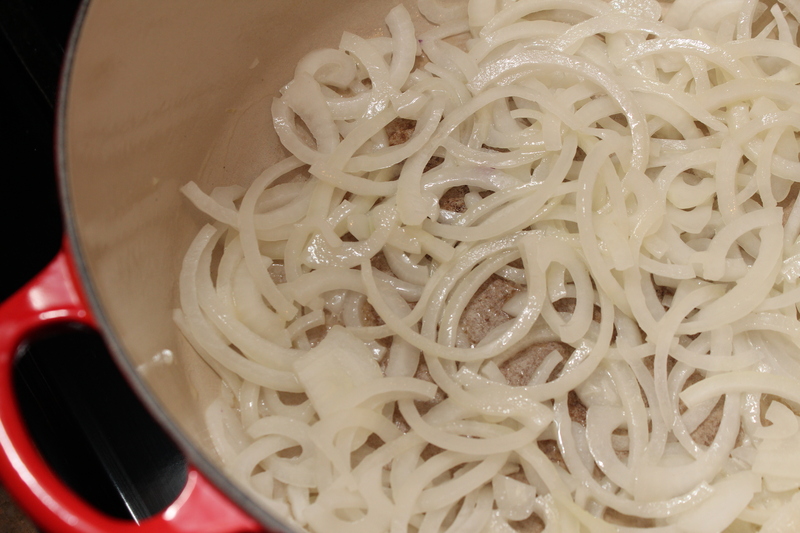 Saute the onions until tender. Cook for 3-4 minutes until slightly tender. Season with salt and pepper and add the wine. 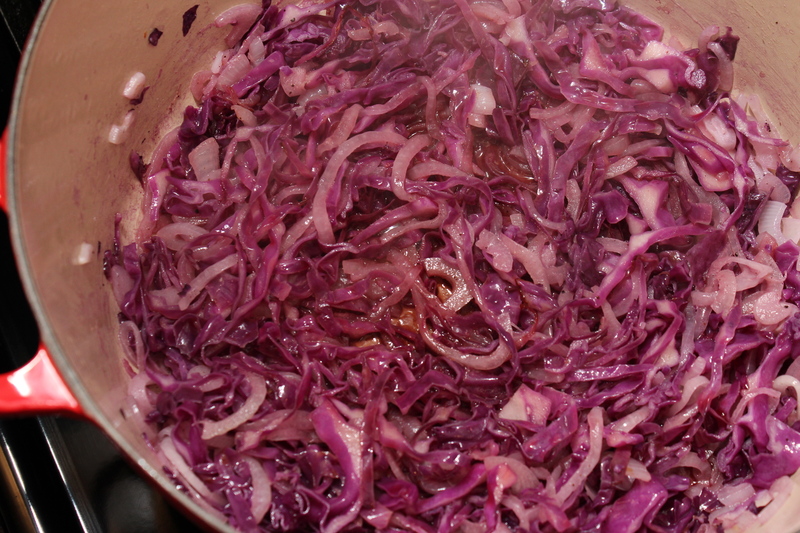 Reduce the heat to medium low and cook until the cabbage is tender, stirring occasionally. 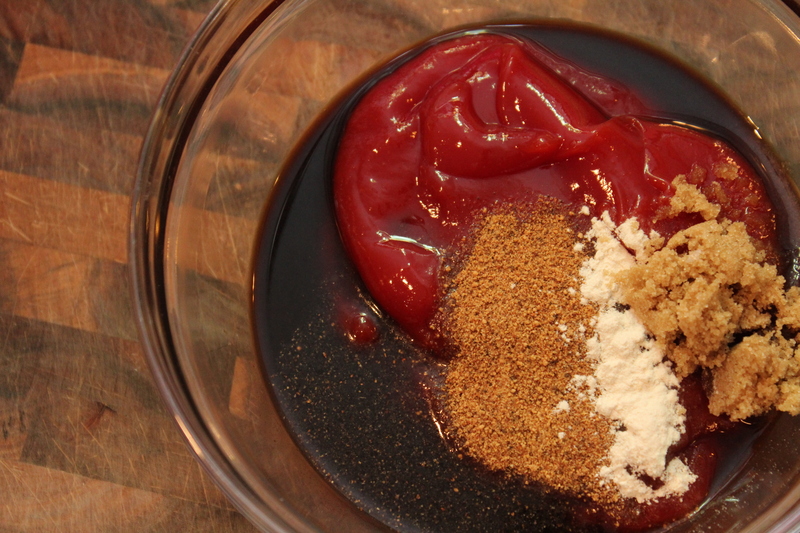 While the cabbage cooks mix together the ketchup and next 4 ingredients, through the onion powder, in a medium bowl. 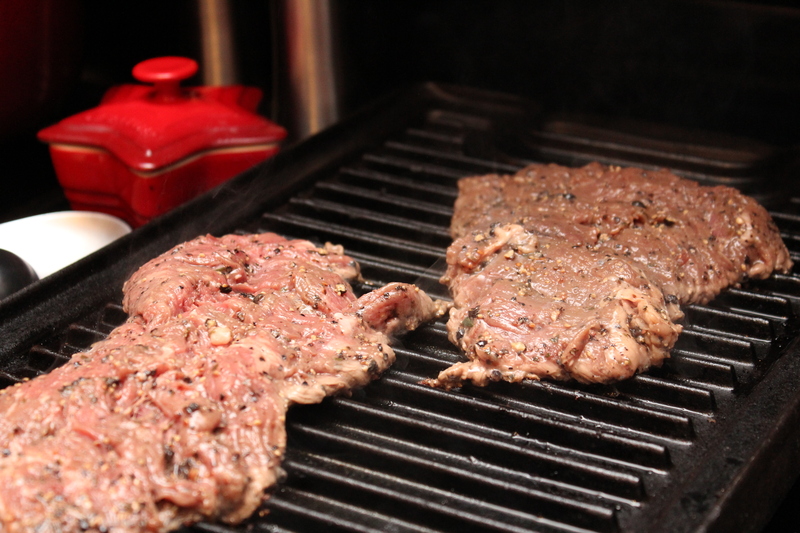 Heat an outdoor grill or indoor grill pan over medium high heat and spray with cooking spray. 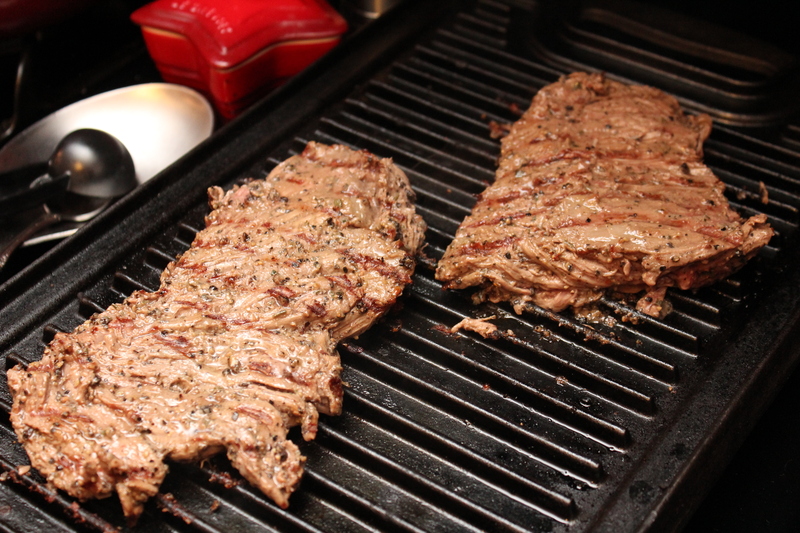 Add the steak and grill for 2 minutes on each side for medium rare and 3 minutes or medium. Remove from the heat and rest. 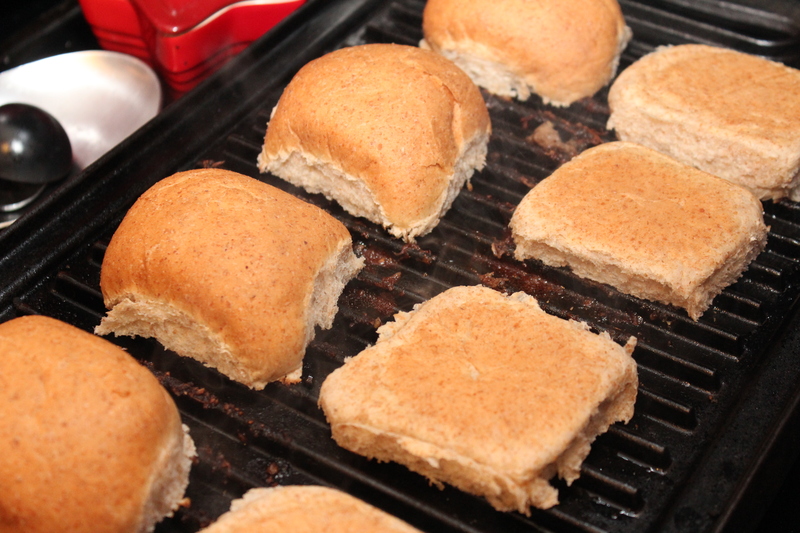 While the meat is resting slice the rolls and heat on the grill for 1-2 minutes. 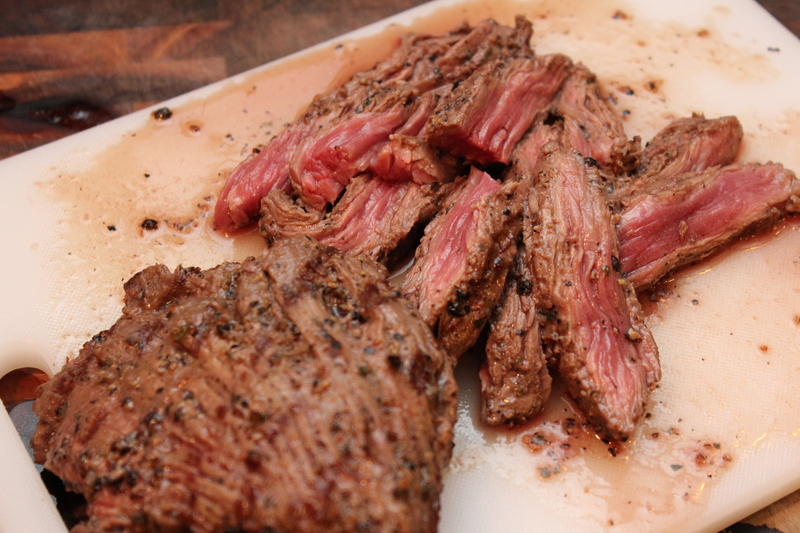 Once the meat has rested for 3-4 minutes slice into thin pieces. 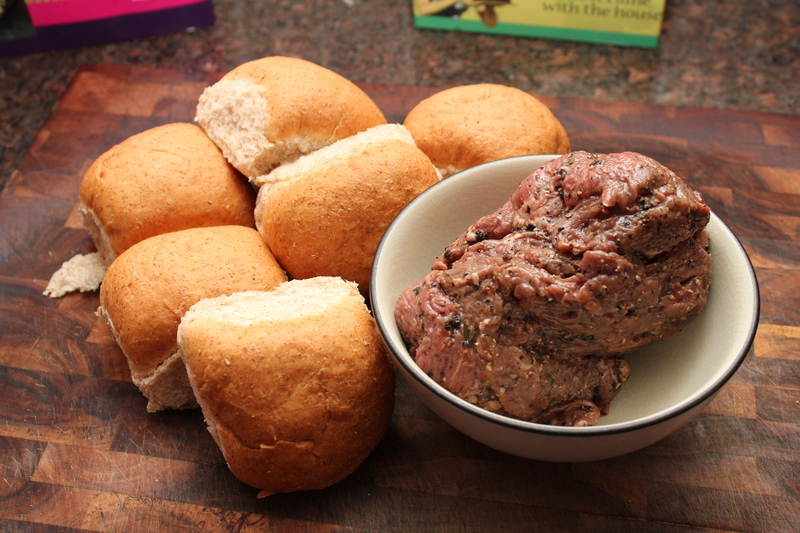 To assemble top the rolls with the meat. 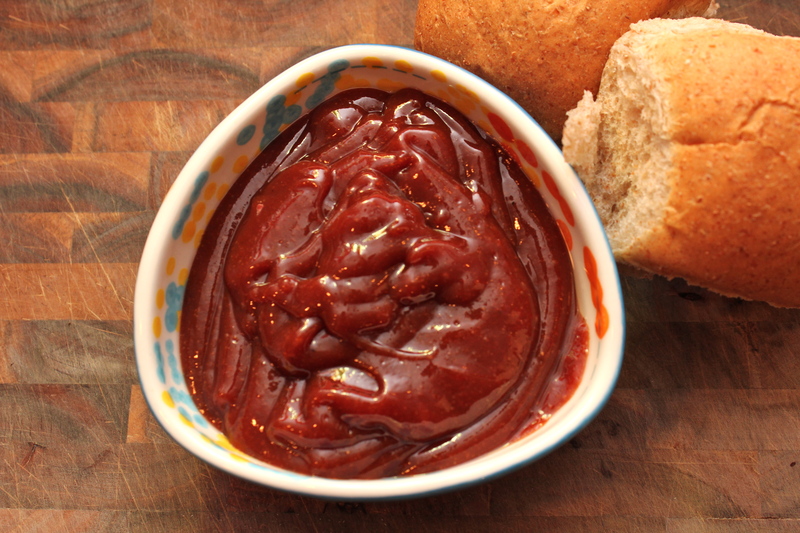 Drizzle with the barbecue sauce. 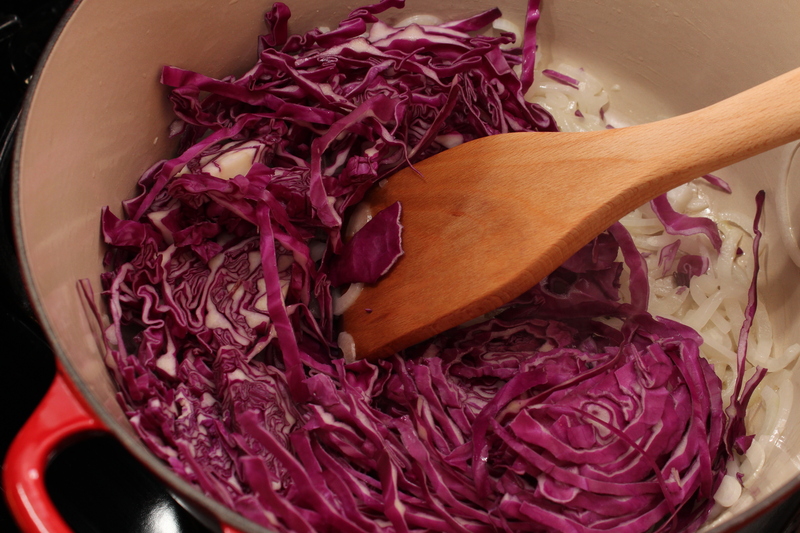 Finish off with the cabbage mixture.